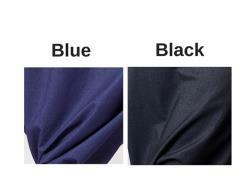 Blue, Black, Denim-looking, Harem Pants, Jeans, Royal Design. 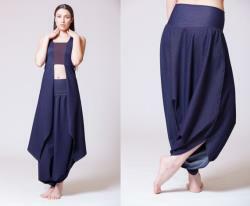 Blue, black, denim-looking, harem pants, jeans, royal design. 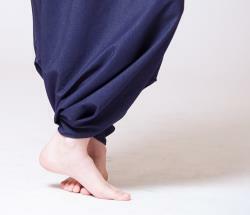 The slightly firmer nature of this specific fabric allows these pants. To flow and sustain their flexibility while maintaining a touch of nobility. As part of the michella skirt pants collection, these pants. Can easily shift from formal to casual depending on what they are worn with. So feel free to get creative. Both the double layered waist band and the rest of the pants are made. Of the same cotton polyaster knit which has a denim look to it. Due to the unique design & fabrics. You will experience a garment that flows with your body. Seemingly changing its look with every movement. Appearing as though these pants were made especially for you. The sizes are based on the widest measurement of the hips. I recommend measuring yourself if you are unsure. Xs- 81-88 cm / 32-34.5 inch. S- 91-98 cm / 36-38.5 inch. M- 101-108 cm / 40-42.5 inch. L- 111-118 cm / 44-46.5 inch. Xl- 121-128 cm / 48-50.5 inch. For any questions please don't hesitate to convo me. And i will be happy to be of help. - - - - - - - - - - - - - - - - - - - - - - - - - - - - - - - - - - - - - - - - -. The michella skirt pants - general description. The 'michella skirt pants' can be complemented by an array of tops. From t-shirts to business blouses. Giving you endless options in terms of mixing and matching. What you wear with them, since they can be the perfect choice. For both casual and/or elegant occasions. The 'michella skirt pants' come in two different lines. Respectively called- the 'classic' design and the 'royal' design. Both lines are based on a roomy flowing harem style. With diagonal slits which are unique to the michella skirt pants. And both designs are extremely comfortable. All fabrics are handpicked by michal. Sewn and cut by hand in michal's studio boutique. Made mostly of light weight knit fabrics, which are flexible by nature. Therefore adapting to the many different body lines of a woman. Each item comes in a short version and a long version. (a difference of 6 inches/15 cm in length). This special design combines a stretchy knit used for the waist-band. With woven fabrics which are used for the 'pants' portion. The design is abundantly cut, providing a flowing feel and look. These pants are slightly less tight below the waist in comparison.